God has moved in my life this year in an undeniable way. Around this time last year, He told me that my theme for 2013 would be “GO”, and I trusted that the Lord would lead me so that as I pursued His will with my heart fully committed, He would order my steps. I had no idea that this would mean a literal move for my life from the only home I’ve ever known (919/NC) to Jacksonville, Florida (a city I had never set eyes on before). But, He’s God, and when you put yourself in the center of His will, there’s no telling how He will deliver on the promises He’s made to you. So, while I’m fully aware of how fast God can act, there are still some areas in my life where I am desperately waiting on God’s word and will to manifest. Yes, I’ve seen miracles, and yes, I’ve moved in His will, but that doesn’t mean there are situations that I’ve had in constant prayer that remain unresolved. As I sit and contemplate what God has already done, sometimes I get impatient and think to myself, “Lord, if you can do this (insert life-changing moment here) with no problem at all, what are You waiting for when it comes to (insert life-changing moment that has NOT yet happened here)?” I know it’s not the best, or even most mature, mindset to possess, but I still struggle with doubt as I wait on God to move, just like any other person of faith. Amen! 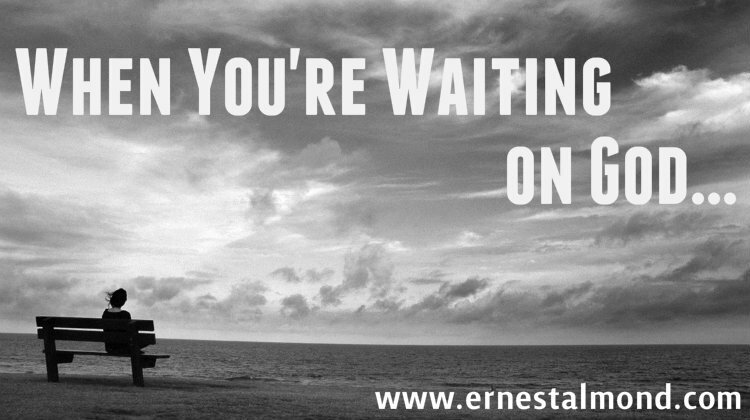 Waiting on the Lord is not always easy but worth the wait. While waiting I like to think he must have something extra special in store.